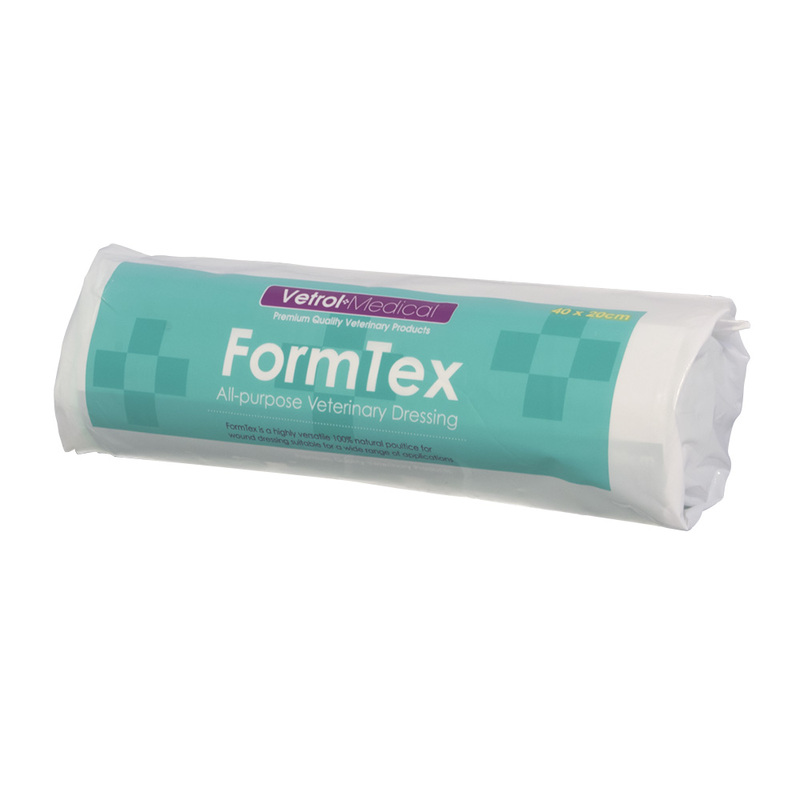 Vetrol Formtex Poultice is a very absorbent poultice that contains Boric Acid, which acts as an antiseptic & Tragacanth which draws out infection. It can be used hot or cold, wet or dry. For maximum effect, Vetrol Formtex should be dampened with water, to activate the poulticing agent.